With its combination of an award winning and immaculately kept site, set in an idyllic location with its own clean beach, private boat store and ramp and breathtaking views of Snowdonia, St. David’s Park is indeed a unique and special place. The Isle of Anglesey has long been a popular holiday destination due to its natural beauty which is at its best on the unspoilt east coast with its abundance of wildlife and hidden coves. St David’s Park is just 15 minutes drive from the mainland, but a million miles away from the daily grind of city life, and is situated in an ideal location to explore North Wales’ many attractions including Snowdonia National Park. The park is sheltered by the natural landscape where rolling green fields meet a strip of ancient woodland before leading you to the soft golden sands of St David’s Bay and the clear sea water. Our private beach has been repeatedly awarded the prestigious ‘Blue and Yellow Flag’ for its clean waters. Other facilities include St David's Tavern serving a fine selection of drinks and excellent quality food made from the finest local produce. We also have a play area and well stocked site shop. We have a wide range of new and quality pre-owned caravan holiday homes and Lodges for sale. We can source any new caravan of your choice from all the leading manufacturers and have a list of approved lodge manufacturers to choose from. A quiet park located east of Anglesey with an Award Winning private beach, boat park, indoor pool and spa, slipway, tavern, shop and games room. 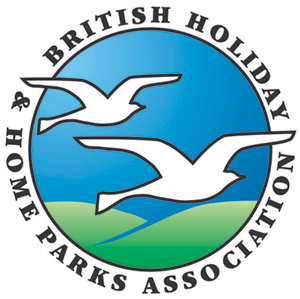 Luxury lodges and caravans for sale. A55, J8A, 5025 Benllech/Amlwch. Through Pentraeth (8 miles) right Red Wharf Bay, straight on at shop, Park entrance on left.